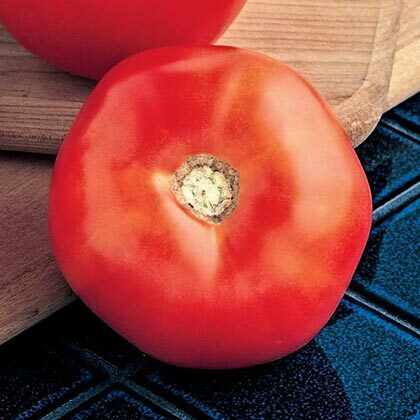 Mountain Spring Hybrid Tomato | Gurney's Seed & Nursery Co.
Fruitsmooth and globe-shaped, and typically reaches a weight of about 9 ounces. With a deep red color, both externally and internally. Soil RequirementsWell drained soil high in organic matter. Can tolerate acid soil as low as 5.5 but prefer 6.0-6.8 range. PruningFor better air circulation under the plant trim the bottom 16" of each plant of all stems and suckers other than 4-5 main stems. 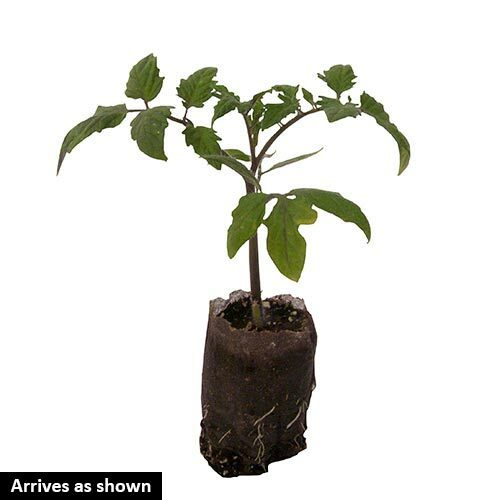 This will help to reduce the relative humidity around the base of the plants. CommentsIn spite of its name, Mountain Spring is on the recommended list of 10 Southeastern states. Excellent flavor and processes well for canning. Good leaf coverage of fruit to protect fruit from sun scald. High-quality fruit with high tolerance to cracking, very attractive uniform appearance. Excellent resistance to Fol, S, Ss, V. Determinate. Released by North Carolina State University. DepthSow seeds indoors 6 to 8 weeks before transplanting outside. Plant 1/8 inch deep. Days To Maturity70 days from transplant.